This four-star luxury hotel, is an iconic historic landmark where stunning architecture meets modern amenities in the city's Cultural District. 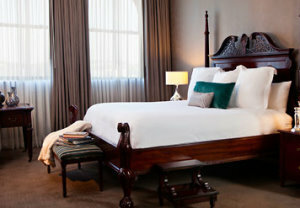 The hotel exudes the timeless elegance of downtown old-world charm. 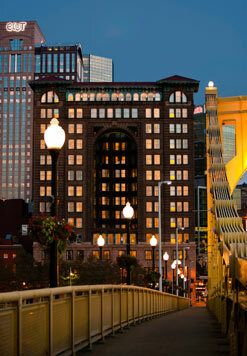 The chic hotel is housed in the classic Fulton Building, conveniently positioned among five acclaimed theaters and centrally located near Heinz Field, famed PNC Park, Mellon Arena and the David L. Lawrence Convention Center. 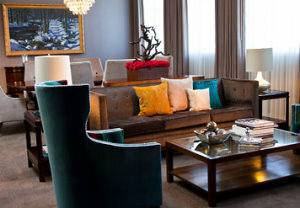 The hotel has 10 meeting rooms with 10,000 sq ft of event space overlooking the Allegheny River. In addition, the hotel houses two restaurants: Braddock's American Brasserie and Braddock's Street Side, Both are great neighborhood gathering places with a down-home feel and design, casual and value-driven menu, great cocktails and wine list.